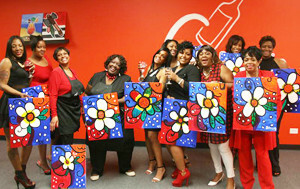 We offer a twist to paint and sip in Chicago with our theme nights and private parties. 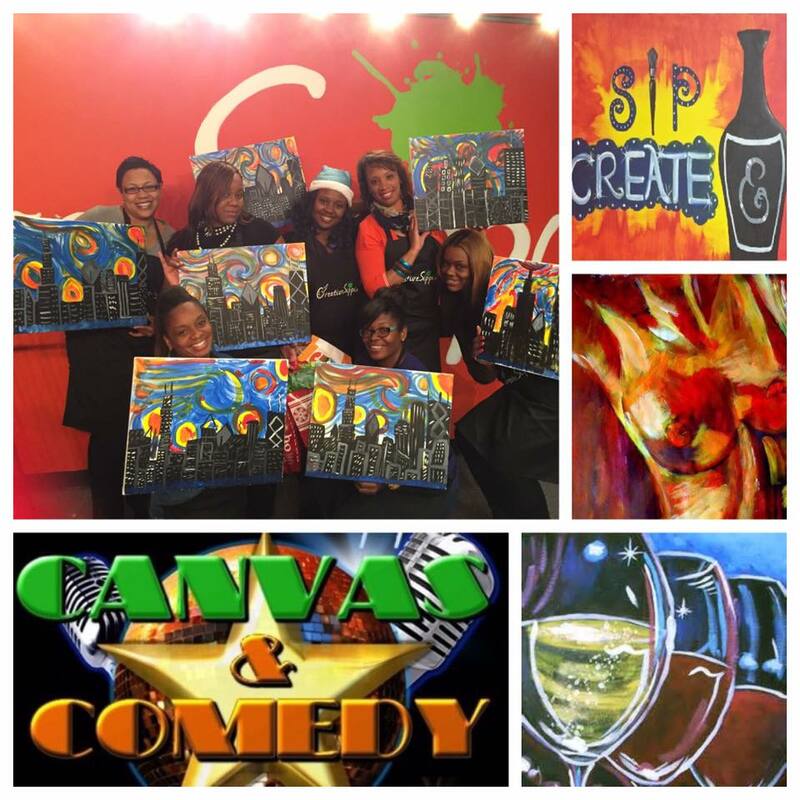 We have the canvases, paints, brushes, and aprons ready for you to paint and party. .
Never painted before? Then this class is for YOU! 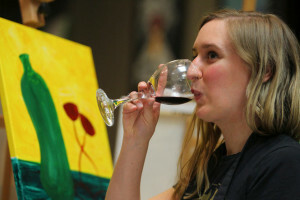 Our instructors will guide you step by step in painting, through a 2-hour class. Your inner artist is just waiting to come out! 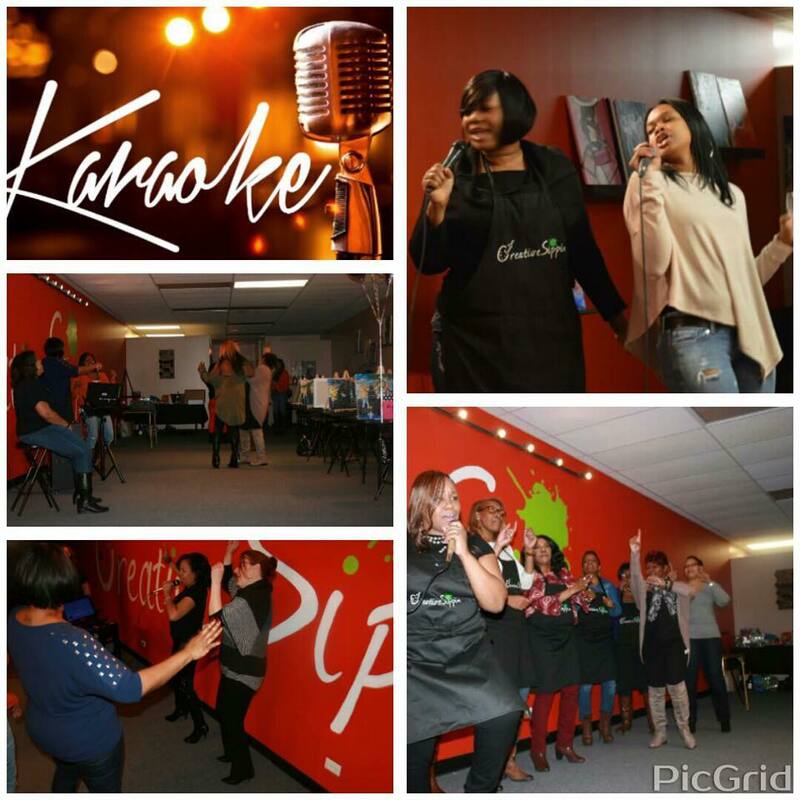 Its a guaranteed RELAXING fun night out! Bring along your favorite drink and snacks and make the evening that much better.  Our staff will help you set up and mostly importantly…clean up! 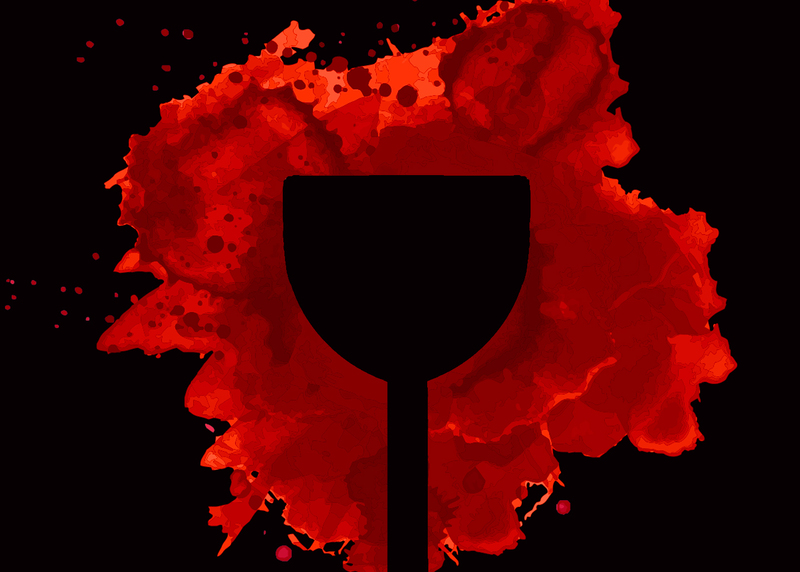 We provide everything you need: canvas, paint, brushes, aprons, easels, music and inspiration…. 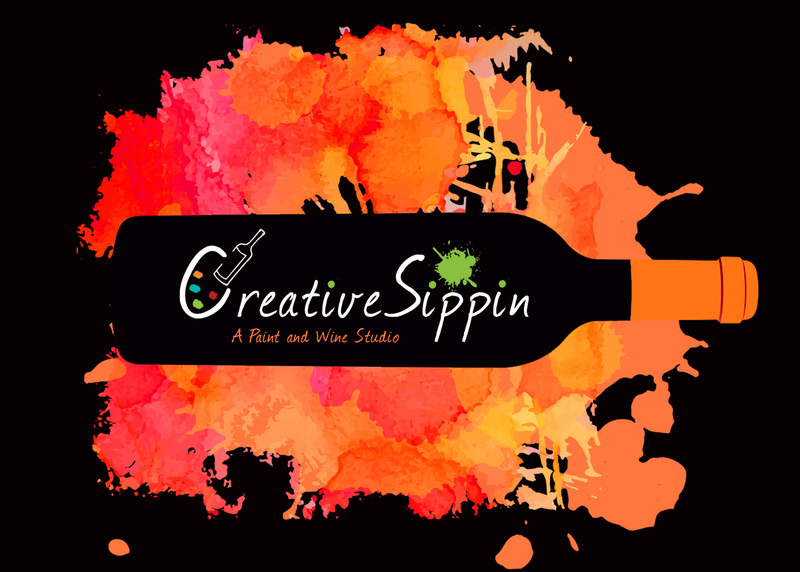 Just bring yourself, your friends, wine if you like and snacks and let the Creative Sippin’ begin! 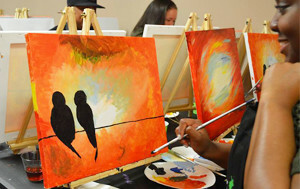 Our classes are “art as entertainment!” If you have never painted before, our team of local artists will guide you step-by-step on how to recreate the featured painting for that session. Get creative by putting your own touches; at the end of the session, you will be surprised at your masterpiece to bring home.